The Support Services Department is responsible for purchasing, inventory control, supplies, mail services, merchandise web store, local union supply web store, imaging/scanning, central filing and records management. The procuring of all supplies, office equipment and merchandise from union-represented companies in the United States and Canada for IBEW departments, district offices, local unions and members. 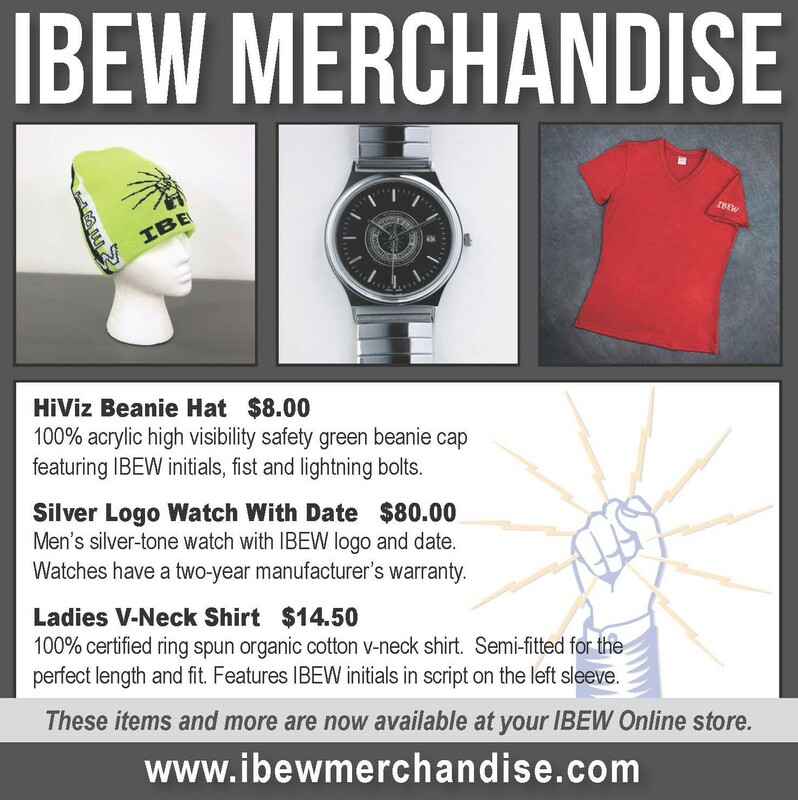 The management of the merchandise web store at www.ibewmerchandise.com and the local union supply web store within IBEW Local Connections. Overseeing the operation of the high-density filing system, electronically-controlled motorized file cabinets that slide automatically to the location of the requested file. Digital imaging of paper documents with permanent or long-term value to electronic files for perpetual storage and retrieval. The handling of mailing activities for the International Office and serving as a liaison to the United States Postal Service and Canadian Customs officials. The IBEW constitution is not available electronically. Members and retirees may purchase a constitution at a cost of $1.00 which includes shipping. Persons must submit a request in writing, including their Local Union number and card number, accompanied with the proper remittance and mail to IBEW Support Services Department, 900 Seventh Street, NW, Washington, DC 20001. Members and retirees may purchase a Local Union directory at a cost of $4.50 each which includes shipping. Persons must submit a request in writing, including their Local Union number and card number, accompanied with the proper remittance and mail to IBEW Support Services Department, 900 Seventh Street, NW, Washington, DC 20001. Local Union directories may be purchased by IBEW Local Union signatory employers at a cost of $4.50 each which includes shipping. Employers must submit a request in writing on company letterhead stating the purpose for which you will be using the directory, accompanied with the proper remittance and mail to IBEW Support Services Department, 900 Seventh Street NW, Washington, DC 20001. The IBEW logo, together with the combined parts of the logo and our name, are registered as trademarks with the U.S. Patent Office and the Canadian Intellectual Property Office. Aside from the International’s own usage, reproduction authorization is granted to local unions for items such as t-shirts, hats, coffee mugs, bumper stickers, signs, business cards and stationary. Requests to reproduce the logos, initials and name must come from an IBEW Business Manager in the form of a letter on local union stationary addressed to the International Secretary-Treasurer. The request must state the purpose of reproduction and the preferred format of the logo, for example gif, jpeg, eps or vector. To quicken the process the local union’s letter can be faxed to (202) 728-6180 or emailed to Support_Services@ibew.org.